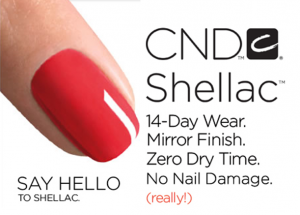 CND Shellac is the original and only Power Polish service, empowing you the real woman, with 14+ days of superior colour, no matter what life brings you. Set if and forget it. Practical and fearless. Improve your nails with an armour coat that says “see you in two weeks”.